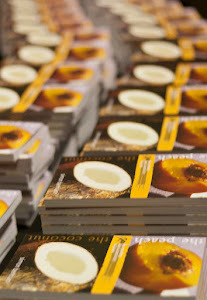 The Peach and the Coconut is now available on Kindle from Amazon, priced at £4.49. You can also write a review of the book there, regardless of whether you've read it on Kindle or in paper form. I'd love to hear people's comments, so please don't be scared to go public with what you made of the book if you've read it. For the next two Sunday's we'll still be giving away free copies (and I'll be signing books for anyone who would like a signed copy). After that they'll be on sale from the Kerith Centre resources area priced £5, and from Amazon in both Kindle and paper format. We're also doing an audio version which will be free to listen to from the Kerith website. I'll do a blog to let you know when that's available - hopefully in the next few days.